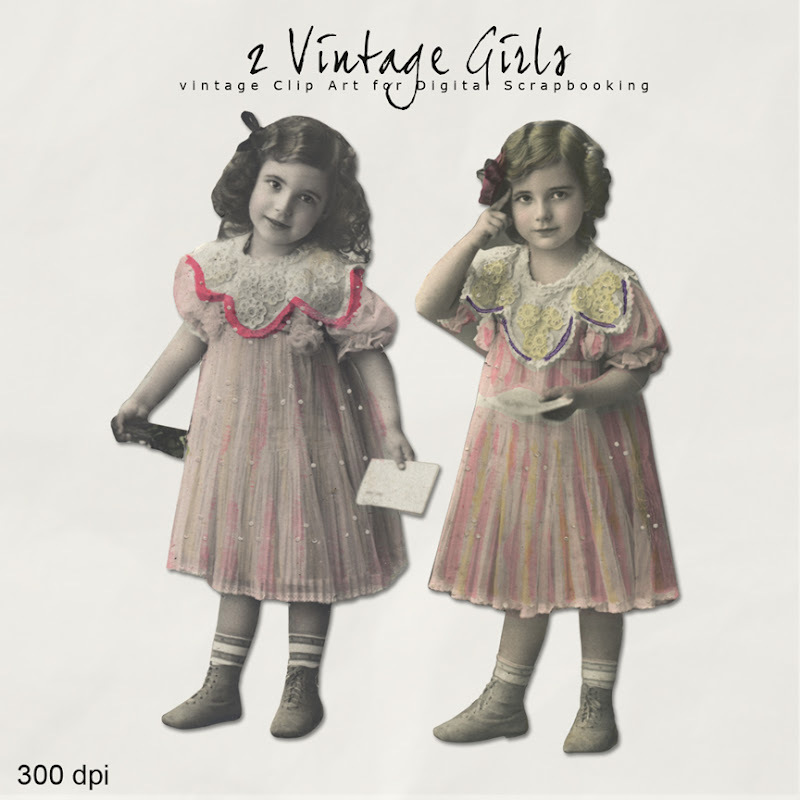 Today, I want present to You new Vintage Kit in the NeareStore - "2 Vintage Girls". Details: The Pack Contains 2 Vintage Photos of Girls. This is digital scan French postcard photo from my collection. This unusual postcard was from Paris in the early 1910's. 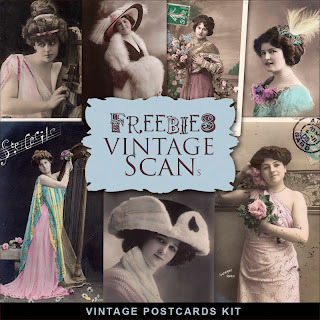 You can use this Photos in your own scrapbooking, jewelry, art work, gift cards, altered art work, miniatures, collages or print onto iron on transfers to make fabrics for pillows, quilted items and bags. The photo is 25 cm in height at 300 dpi. (png file). Click HERE to buy "2 Vintage Girls".